When Will The Weed Be Freed? With the ongoing legalization of medical marijuana across the country, coupled with a continued effort to secure decriminalization, and even legalization, for recreational use in a handful of states, this year’s 4/20 celebration is widely anticipated to be the largest ever seen. Colorado and Washington successfully enacted laws to tax and regulate the burgeoning recreational application. Meanwhile Alaska, Oregon and the District of Columbia are enacting laws to make possession of small amounts legal. But the growing trend of recreational legalization by the states exists in a state of legal limbo, perched precariously between the issue of States’ Rights, and the US Constitution’s “Supremacy Clause.” The Supremacy clause states that federal law always takes precedence when state and federal statutes are in conflict, and this is exactly what states like Nebraska and Oklahoma are citing amid their attempts to quash Colorado’s growing recreational pot industry before the US Supreme Court. The issue of whether individual states have the legal precedent to set their own drug policies as opposed to the apparent higher authority of federal restrictions becomes even more clouded in Washington DC, where voters overwhelmingly approved a ballot initiative to allow the legal possession of up to two ounces within the city, and for residents to grow up to six plants in their homes. In an attempt to block the democratically approved measure, congress continues to work tirelessly to deny Americans their human right to alter their own consciousness and medicate responsibly. Attached within an unrelated Trillion-dollar federal appropriation bill, congress hastily attempted to prohibit the municipality of Washington DC from ever legalizing cannabis; the attached provision would not allow funding to be allocated from the budget to ‘enact’ the legalization referendum that voters passed. In fact, the future of DC’s pot legalization will be determined by the court’s interpretation of that very word: “enact.” However, since the DC pot legalization already took effect by the time this bill was passed, and since the legalization initiative did not set up any regulation or taxation programs, there is literally nothing to “enact.” Nevertheless, congressmen opposed to cannabis legalization are working hard to twist the loopholes within the legalese to retroactively squash the voice of the voters. But if anyone in DC government discuss the details of taxing or regulating the marijuana industry while they’re on the clock at work, they could actually face jail time since such discussions would technically violate the congressional marijuana order. Adding fuel to the fire is an ongoing protest taking currently place around the clock in Washington DC, where a group of protesters have chained themselves to a 42-foot tall “liberty pole” on the capital mall. The protest, culminating at 4:20 PM on April 20th, was initiated at 4:20 AM on April 15th, tax day, explicitly to call attention to the fact that DC residents are being subjected to what they consider an instance of taxation without representation. That ancient rallying cry from the good old days of the American Revolution is such an important part of the Washington DC identity that the slogan “No Taxation Without Representation” actually appears on DC vehicle license plates. But the liberty pole protesters are eager to point out that despite their cooperation with federal taxes, they do not have voting representatives either in the House nor the Senate. Their heavy invocation of the 4/20 movement in their protest implies that congress’s attempts to snuff the DC pot law is an unfair and uninvited federal overreach into the lives of everyday citizens. While Colorado and Washington state have introduced, taxed, and regulated cannabis for recreational purposes, Alaska and Oregon are the latest states to be found waiting in the wings. Both states are in the process of passing voter-referendums similar to that of Washington DC allowing citizens to possess and grow cannabis for personal use, but still forbidding its sale and public consumption. Interestingly, since these laws explicitly allow donations of marijuana – not the sale of it – DC was host last month to the largest weed seed give-away in history. People lined up for blocks for a chance to receive free packets of their very own marijuana seeds given away at a local DC bar and restaurant. Since the sale or purchase of pot or seeds is still illegal in DC, it was the only chance most citizens had to obtain the seeds needed to start their own legal home-based gardens. Because of the immense turnout at the give-away, it is broadly believed that a great deal of the recipients were not actually DC residents, but had come from nearby Virginia and Maryland, where pot is still unequivocally illegal. As an unintended side-effect of congress’s attempted restrictions, DC police were legally forbidden from tracking or even monitoring the recipients of the free weed seed extravaganza in any way. In a city where DEA and secret service agents are at the center of controversy for multiple drunk-driving and prostitution scandals, congress has unwittingly passed a law that provides a smoke-screen for a burgeoning gray-market of marijuana trade and barter in the greater DC area. So now that we’re aware of the situation in Washington, Colorado, Oregon, Alaska and the District of Columbia, we turn our attention inward. Where does Montana stand on legal cannabis reform? 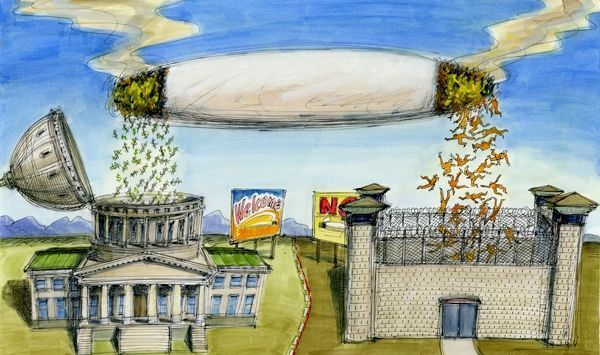 In Montana, possession a single joint can still land you in jail for six months; possession of two ounces can result in a sentence of up to five years. 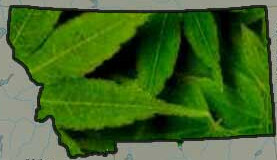 Montana voters, however, successfully pushed the legalization of medical marijuana in 2004. Despite our intrepid legislators meeting five times since 2004 to discuss this issue, they have continuously failed to enact a workable regulatory system. Then in 2011 the legislature attempted to such down all cannabis businesses with their “repeal in disguise,” alongside coordinated paramilitary raids on marijuana facilities in 13 cities across the state in March of the same year. Cannabis persecution presents an easy answer for law enforcement officers seeking to make themselves look good to their superiors. Montana chalked up more than 1,500 arrests and citations for marijuana-related offenses in 2012, 95% of which were for possession. At the same time, our law enforcement agencies were unable to solve 91% of all burglaries, including home invasions. Also at the same time, our law enforcement agencies failed to solve more than 85% of all motor vehicle thefts. Our law enforcement agencies could choose to focus on actual crimes – that is, cases that involve an injured party – but instead arrest thousands of adults for possession of a substance unanimously recognized as being safer than alcohol. They couldn’t close the books on most burglaries, but somehow endeavour to protect us from ourselves, denying our human right to alter our own consciousness – to imbibe a medicine as prolific as it is beautiful – a medicine that is older than human civilization. We know these policies are absurd. We know these laws are ridiculous. The police know it too. So why is it allowed to continue? Because every year thousands of medical doctors alongside members of the Anti-Smoking Inquisition spend billions of dollars perpetuating what has unquestionably become the most misleading though successful social engineering scam in history. With the encouragement of most western governments, corporate lobbyists pursue smokers with a fanatical zeal that completely overshadows America’s ridiculous alcohol prohibition. And much of the mainstream media toes that corporate line, spewing fear-mongering and sensationalism. Not long ago our media was boldly claiming that cannabis use permanently lowered IQ, a finding that marijuana prohibitionists and anti-drug bureaucrats were happy to repeat ad nauseam. Because drug offenders become labourers in our prisons. 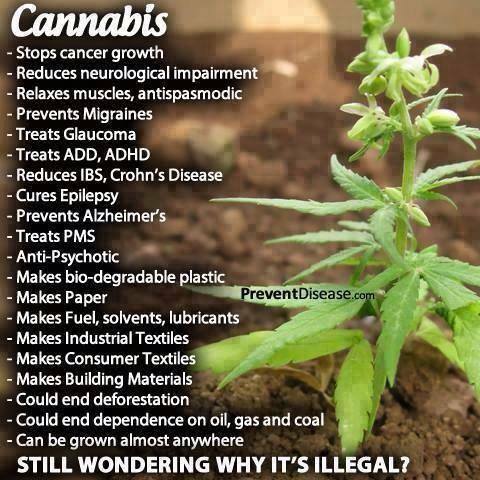 Because marijuana reform threatens the monolith of the pharmaceutical industry. Because cannabis legalization threatens the job security of police unions. Because the drug war justifies the inhuman violence that takes place each day in this country. Because the drug war provides the perfect opportunity to rationalize state-sponsored terror. 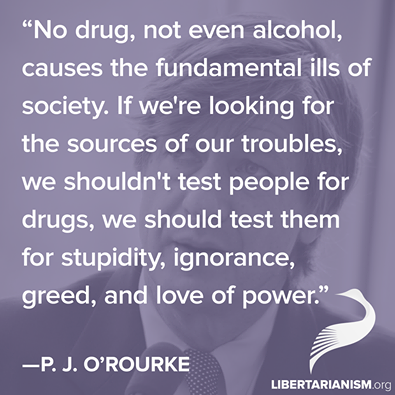 As larger and larger waves of Americans awaken from the lies of the D.A.R.E. program, Nancy Regan’s “just say no” campaign, and vociferous slough of absurdest public service announcements intended to justify the continued persecution of individuals who imbibe cannabis, an increasing number of public figures are beginning to realize they’re getting left behind. Dr. Sanjay Gupta, the mainstream media’s go-to medical correspondent, was himself ardently opposed to marijuana use until he actually got around to researching it and then changed his tune dramatically, hosting three hour-long documentaries and calling for a “weed revolution.” It’s unclear whether his 180 is a result of actually conducting the research, or if he simply realized that if he didn’t admit to what the rest of the country already knows, no one would take him seriously ever again. But it is nevertheless profound what happens when we base our decisions on facts and information as apportioned from research, instead of blindly acquiescing to scare tactics, propaganda and lies. Such endeavours seem to have a tendency of leading us toward the truth. This entry was tagged "Just Say No", Big Pharma, DARE, Drug War, Fear Mongering, Legal Cannabis Reform, Lies, Marijuana Policy Project, Medical Marijuana, Police Unions, Prison Industrial Complex, Propaganda, Scare Tactics, Students for Sensible Drug Policy, Tobacco Companies, War on Drugs. Bookmark the permalink.